It is a wonder why still Honda is not able to understand that India has almost switched to diesel cars. When other car makers such as Toyota is receiving 80 percent of its sales through diesel models of its cars, Honda still sticks to its petrol only makes. However, in order to give a breather before it launches the diesel models, the car maker will be launching Honda City CNG soon. Being the popular sedan in India, the City CNG model is expected to get much response from the car buyers and specially at a time when the festive season is near. The City CNG price is expected to be Rs 50,000 more than the petrol variant. Industry experts consider the CNG model line up addition to the City car a worth one after the recent launch of the Honda City S AT at Rs 9.09 lakh. It is believed that after the Honda City Diesel is launched by the end of this year or early next year, the model line up for City will be complete and it will then set out on creating a history in India. Meanwhile, other cars in the segment including the Ford Fiesta and Hyundai Verna are enjoying the game with their diesel variants. It is said that Honda too is in a hurry to launch City Diesel and other Honda cars in diesel as it knows that the future of cars in India is in diesel. Also, the diesel variants will be worth a buy as petrol prices are soon to take an upswing by Rs 3 to Rs 4 per litre. Though the City buyers do not look at diesel or petrol motor under the hood as the car has established itself following its relentless quality and trust just as Maruti cars have made their own space in the mind of the common man. With the CNG kit in, there will also be minor changes on the City. These include loss of the boot space and changes in the instrument cluster to fit in the indicators and other controls to operate the car on CNG. It could be possible that Honda could put in a lower capacity petrol tank in the City CNG in order to balance the weight increase due to the CNG tank. It is sure that the fate of the City CNG will be restricted to the metros and handful of cities were CNG is available in easily. Its great news that Honda City comes with CNG version. 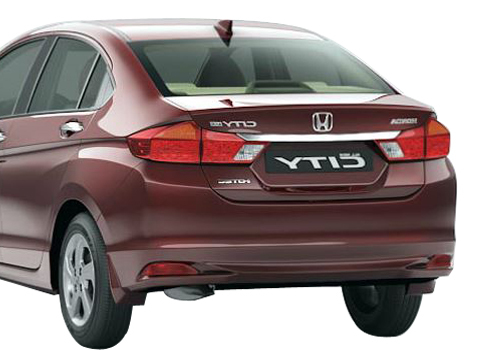 Honda City all the version are great and fully loaded with features. What will be the expected Mileage of Honda City CNG Version.